Here's another amazing giveaway hosted by my friend Jenn over at Jenn's Blah Blah Blog. The prize is $500 any way you want! PayPal cash, Amazon cards, a prize, anything! Enter below, then leave me a comment. Thanks! Freebies Frenzy – Who loves FREEBIES? I know I sure do! If you too love freebies, than you really need to head over and check out Freebies Frenzy, and get The Best Freebies Delivered Daily! If you’re on the lookout for free samples, more freebies, and even more free stuff where there are NO strings attached than Freebies Frenzy is the place for you! How do you get all this free stuff? Sign up for Freebies Frenzy Newsletter, click the link for the freebie, follow directions, submit information, and you will get them delivered right to your door! It’s really that easy! If you're not currently following Freebies Frenzy, What are you waiting for visit! Visit Freebies Frenzy NOW! 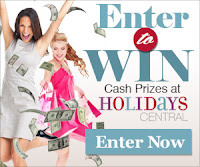 One very lucky person will win ANYTHING they want valued up to $500! You heard it, or read it correctly! One lucky person chooses their prize valued up to $500! So what can you choose from? Oh, anything you want Walmart gift cards gas gift cards, toys for the kids, amazon gift card, maybe that new tablet you have had your eye on. You let us know what you want to win and we will get you the prize. This fabulous giveaway will begin on 04/02/2013 at 12:01am EST and end on 05/04/2013 at 11:59pm EST. Open Worldwide, must be at least 18 years of age to enter. If you want to enter please use the Giveaway Tool below! Thanks and Good Luck!